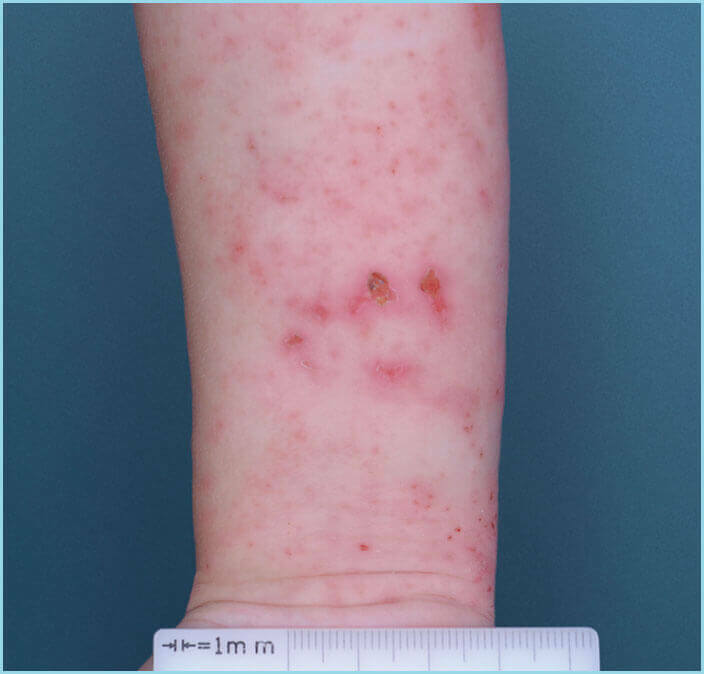 The EUCRISA clinical trial program included more than 1500 people with mild-to-moderate eczema, ages 2 to 79, with over 1000 people receiving EUCRISA. Of those, the majority were kids ages 2 to 17. More people using EUCRISA saw improvement than people using the non-medicated Emollient-Rich Vehicle after 28 days. Some saw an improvement in about a week. Click on the images to see how EUCRISA worked over time to treat eczema. Photos of a patient treated with EUCRISA in a clinical trial. Some people using EUCRISA saw results in as little as 8 days, while even more people saw clearing by day 29. You should continue to use EUCRISA as prescribed by your doctor. Some patients may experience burning or stinging where EUCRISA is applied. In our clinical trials, 4% experienced this side effect, and application site pain resolved within 1 day for 78% of patients. WHAT IS THE MOST IMPORTANT SAFETY INFORMATION I SHOULD KNOW ABOUT EUCRISA? In clinical trials, 4% of EUCRISA patients experienced application site pain, such as burning or stinging, vs 1% of those who used the non-medicated vehicle. A long-term safety trial (48 weeks) showed a 2% incidence of application site pain in those treated with EUCRISA.